It lies 23 km south of Kanjhangad in Kerala. Hosdurg Beach is a wide strip flowing along the side of the town. A huge mile covering dazing tawny sands, casuarina orchards and the picturesque cottages made out of thatched roofs, which appears resembling the transplant from the English shires are the striking spotlights of the Hosdurg Beach. One can come across the endangered species of the Olive Ridley Turtles here during the months of September to November. These turtles lay their eggs on the shores of the beach. Five km away is Kappil Beach . Vast, remote and secluded, it is refreshingly different from popular beach destinations in its inspiring settings and ambience. Nearby is the Kodi Cliff that looks as if it sprang straight out of the sea. Take in one of the most panoramic views of the sea from here. 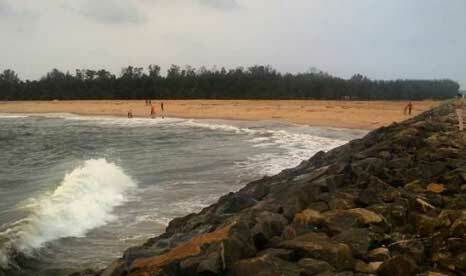 Kappil Beach is located at about 7 kilometers from the Bekal Fort in Kasargod District. 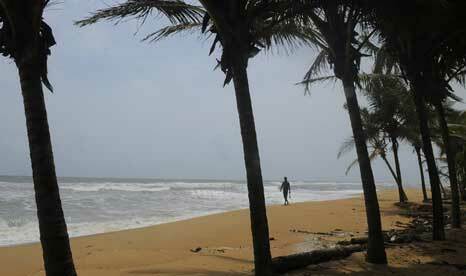 This sun-drenched beach is a perfect getaway after a hectic tour of the nearby Bekal Fort. Adventurous souls can even ascend the nearby Kodi cliff to get a panoramic view of the Arabian Sea. The vast Kanwatheertha beach is well known for its large 'swimming pool-like formation' of the Sea. This beach is widely regarded as a divine abode for swimmers. This vast beach is just perfect to sit, relax, soak in some sun and enjoy. It is also an ideal picnic location. 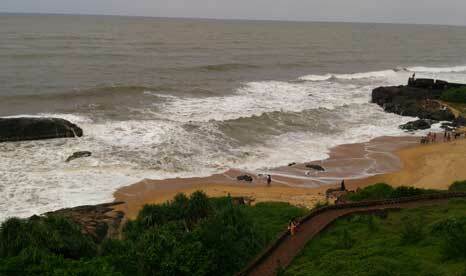 Enjoy the peaceful climate and the atmosphere at Kasaragod's famous Kanwatheertha Beach. This neat and vast beach is located 3km north of Manjeshwaram. Azhithala is a place where Tejaswani river mouths the Arabian Sea. This beach is an ideal location for peace and relaxation. It is also ideal place to go for long walks. This beach is any picnicker's delight. The sea, sands and the nature surrounding the beach add in to the total beauty of the locality. Azhithala is an ideal place for long walks and relaxation. 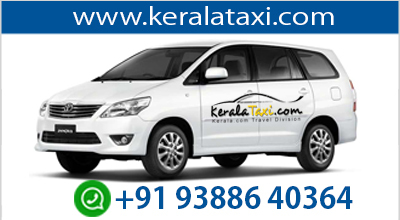 It is only 13 km away from the town of Kanhangad and 25 kilometers to south of Bekal.